Two hot trends in the business technology industry are companies going Green (adopting environmentally savvy work environments), and implementing Bring Your Own Device (BYOD) system for your office. In reality, these two trends go hand in hand, as they seek to use technology to increase efficiency in the everyday operation of businesses worldwide. Here's how to implement your company's Green campaign with BYOD. Behold, The BYOD Office of the Future! One of the biggest trends in the modern office is employees bringing their own personal devices to work (BYOD). 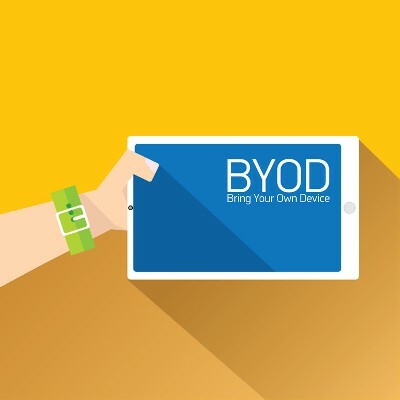 Many businesses are making changes to their IT infrastructure to make room for BYOD. With BYOD growing in popularity, it's appropriate for businesses to ask where this trend is heading. What will a fully evolved BYOD office of the future look like? Everyone's got one, and they're bringing them to work. The mobile device revolution is certainly not going anywhere anytime soon. Now it's extremely easy to access social media logins, bank account information, order pizza, and make major life decisions at your fingertips. There are certainly advantages to your employees bringing their own devices to work (BYOD), but business owners need to be aware of the risks before allowing BYOD in the office. Here are five unexpected consequences of integrating a BYOD culture in your office.